This itinerary, based around Northern India and the Holi Festival, proved to be a great success in 2018 and will be returning again in 2020. This tour has been carefully planned to capture the essence of this great sub-continent and we will focus on the most interesting and photogenic areas, including three days for Holi, the festival of color which celebrates new life for the new season. 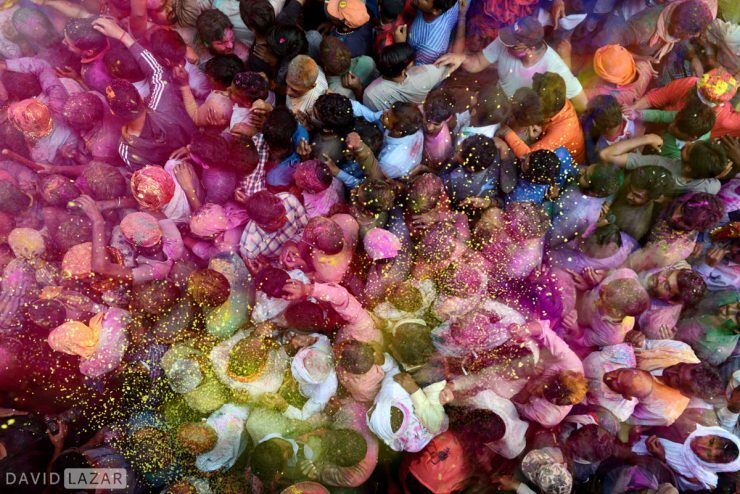 Our Holi shooting takes place around Vrindavan, in the nearby villages of Barsana and Nandgaon, where the joyful mayhem reaches its most colorful peak during the Samaj. Coloured water and bright powdery colours are tossed over priests and pilgrims on the streets and in certain temples which we will visit, making for amazing and vibrant photo opportunities unable to be captured anywhere else in the world. We assist all participants with camera protection preparations, so the equipment always remains safe and dry. Exact dates in February still to be confirmed based on the Holi festival schedule. More information about this tour will be available in 2019.